Sri Lanka’s state-owned Ceylon Petroleum Corp (CPC) is under pressure to raise fuel prices as the refiner incurred huge losses this year, cabinet spokesman Rajitha Senaratne said on Wednesday. The CPC incurred a loss of 9.9 billion rupees ($63.5 million) in the first two months of the year, a government document showed. adding it is not a “good time” to raise fuel rates ahead of the traditional Sinhala-Tamil New Year, which is celebrated by 90 percent of the 21-million population. 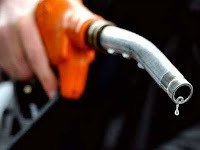 Lanka IOC Plc, the only other local fuel retailer and a subsidiary of Indian Oil Corp, had raised retail prices for gasoline and diesel on March 24, after the government failed to implement a pricing formula. This has put the government under scrutiny to raise prices at fuel stations, which are normally decided during talks between the government and retailers. Lanka IOC, however, is allowed to set fuel prices at its own will. The fuel pricing formula is under consideration and a final decision is yet to be taken, Senaratne added. Despite several measures to reduce rates of essential goods, the public is still wary of higher food prices amid new income tax slabs. The new taxes will hardly affect the lower-income group, President Maithripala Sirisena’s coalition government said. A price hike could make the coalition government more unpopular among the voters ahead of the potential provincial council elections this year, analysts said. Under pressure from the International Monetary Fund to boost the island nation’s revenue, the government had increased the excise duty on diesel to 13 rupees per litre in August last year, but had asked fuel retailers to retain the old rates.